Tonite I used 4 different patterned papers and 3 brads for the Incy Wincy challenge and the sketch from the May card challenge over at Scrapbook.com. 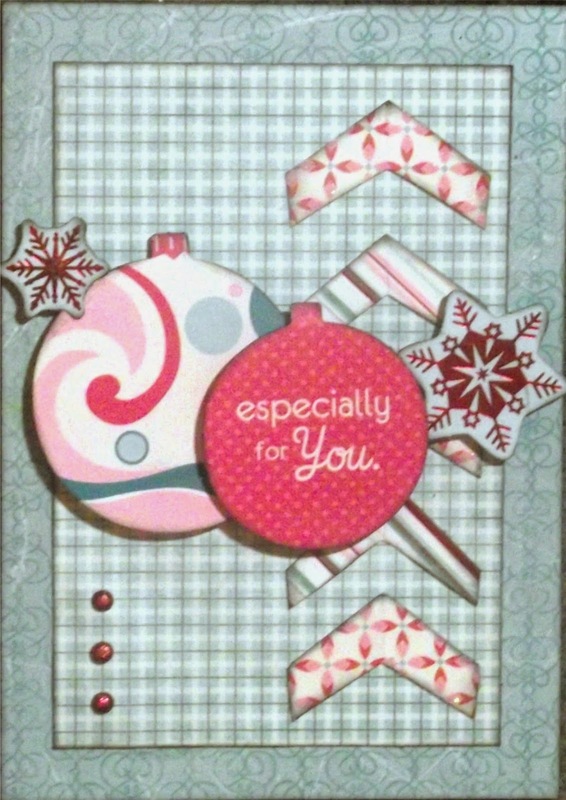 I just love the colors in this SEI Berry Melody collection so I ended up creating another Christmas card. I am also entering this in Party Time Tuesday challenge #171 Polka Dots. I was hoping to get another card done before bed but as it is now after 2am I think I had best be getting to sleep. Tomorrow is another day. Thanks for stopping by and Sweet Dreams! Adorable Christmas card. Love the colors and the way you used the sketch!!! START OF THE HOLIDAY WEEKEND! IT'S A TWO CARD KINDA NITE! 1 - 2- 3 FOR NSD!